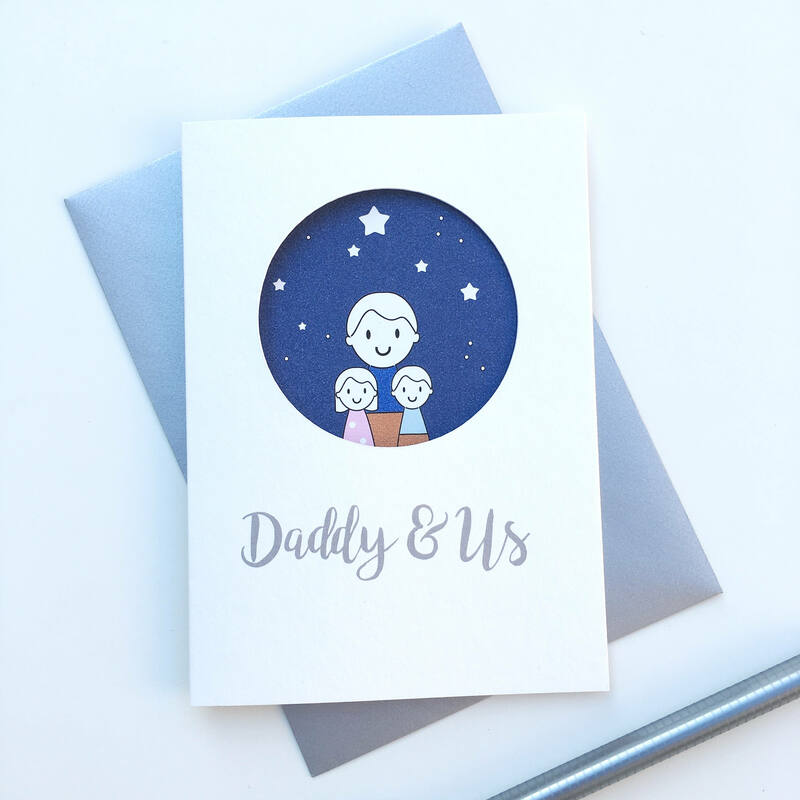 A sweet Daddy and Us father's day card. Each card is printed to order. 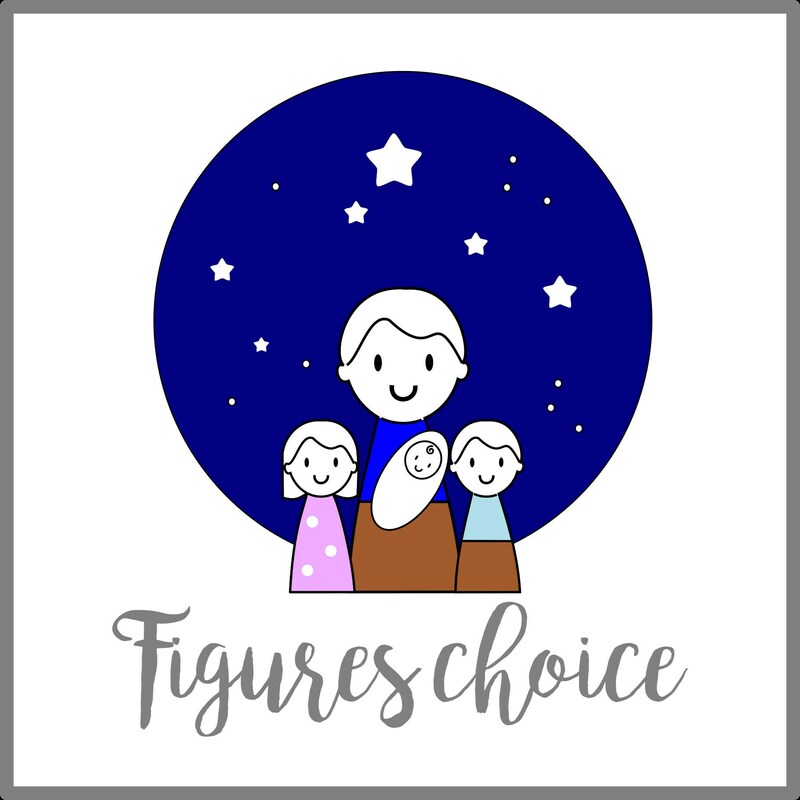 It is printed with a daddy figure and his children standing under a starry night sky. 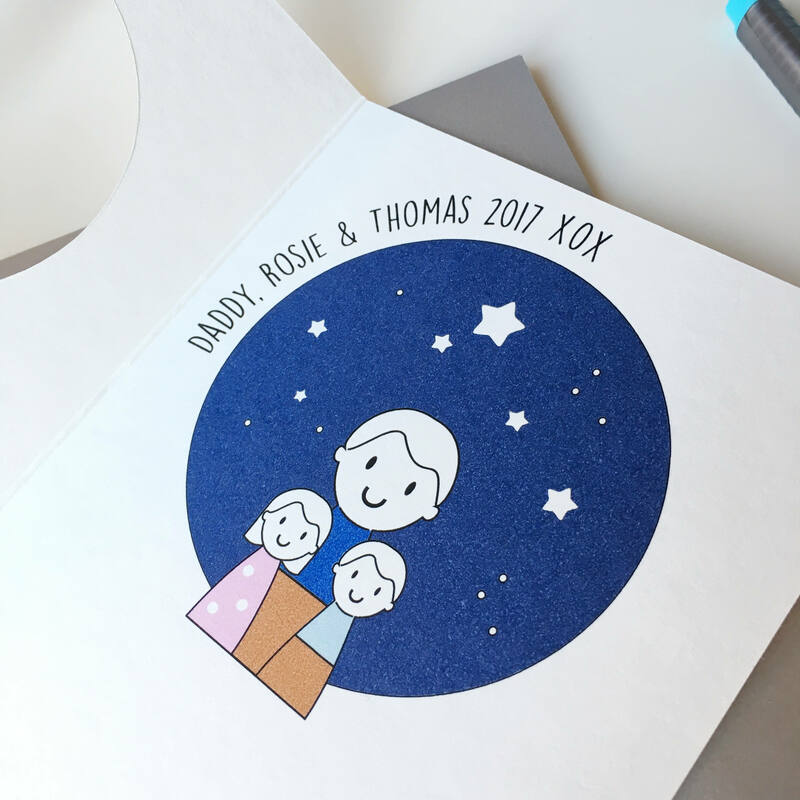 On the inside a message is printed eg "Daddy, Rosie and Thomas 2017 XOX" and you can personalise this with your children's names and the year. Each card is made from 100% recycled card. 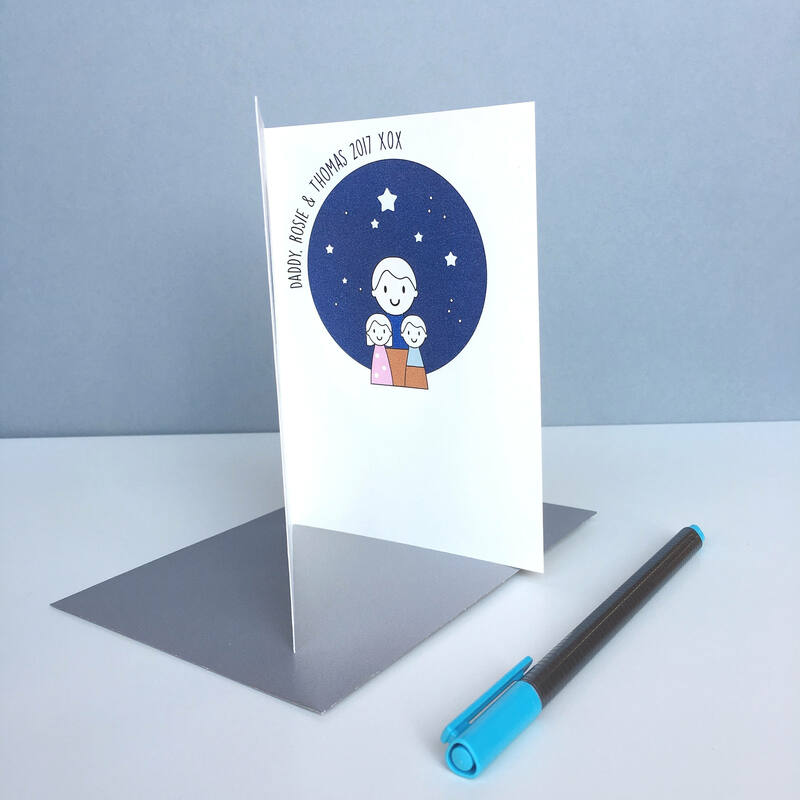 A6 size and supplied with a silver envelope. 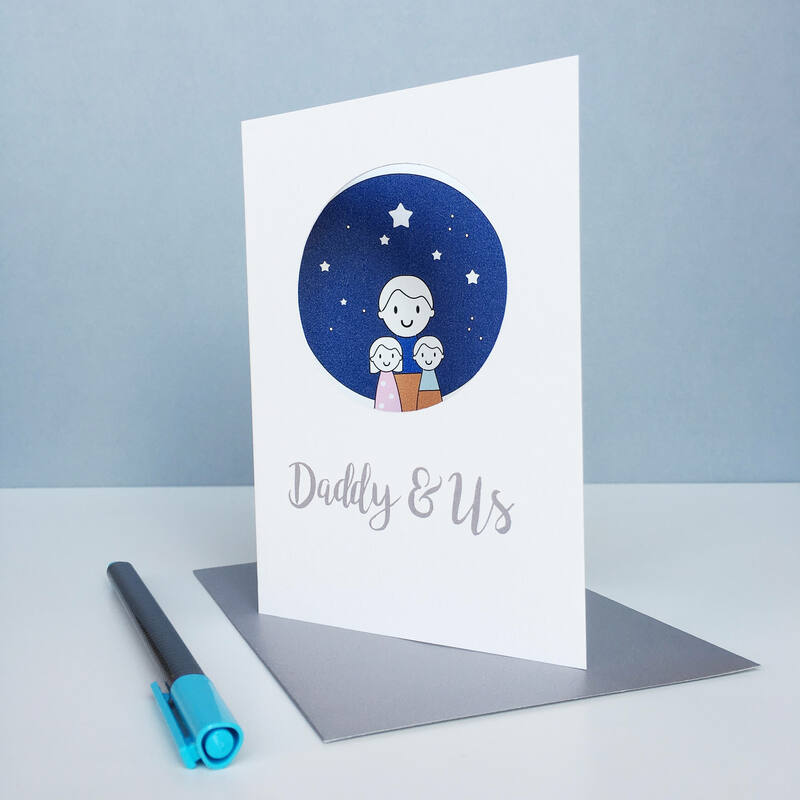 A lovely card for your daddy on Father's Day or just to say you love him.